Our Basic Clear Melt and Pour Soap Base has a clarity score of 9 out of 10. The two-pound tray is the perfect size container for projects making (8) 4 oz. bars of soap. The lid allows for unused soap to easily be stored for future use. COMMENTS: I love this soap base. I just received and love the way it melts. It is so crystal clear and doesn't melt gummy like other soap bases. I am a fan and the free shipping is added plus. COMMENTS: As it reads, it’s basic melt and pour— but it melts so easily and consistently, and is remarkably clear— much better than other brands. 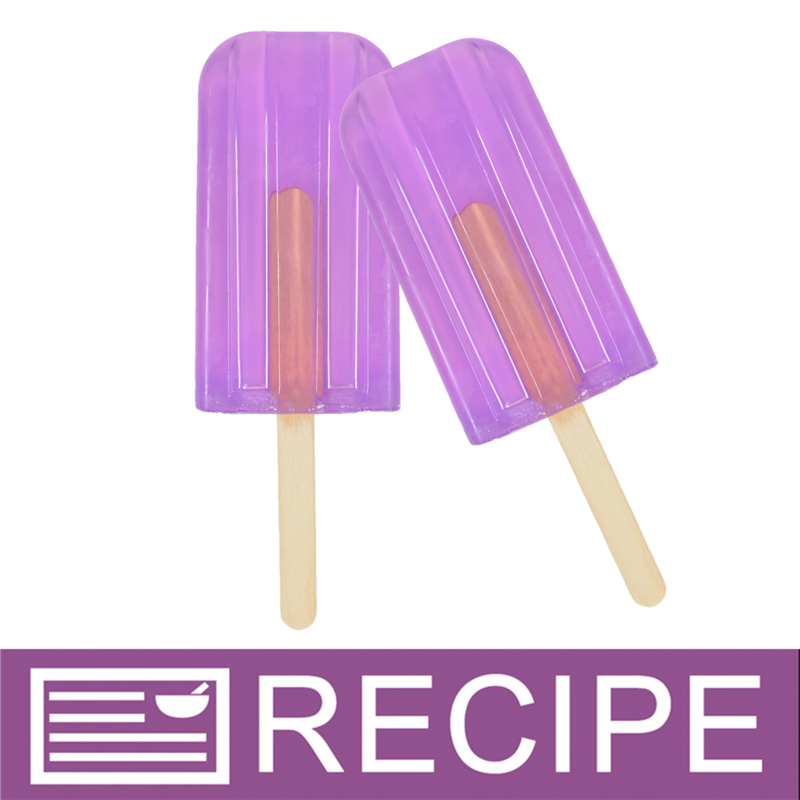 It makes micas pop in your soaps, but don’t underestimate the versatility of this basic melt and pour. Keep it on hand. COMMENTS: So easy to work with, melts perfectly. Colors and fragrance incorporated well. COMMENTS: A consistant favorite of mine. I use in sugar scrubs and they come out beautifully! COMMENTS: Perfect soap base. No issues here. COMMENTS: its a very clear base. I use it to make a glow in the dark imbeds for MP soap. COMMENTS: Melts down easily, holds color and scent very well. Even hardens up a good bit after a few days of curing! It also doesn't tighten or dry my skin out, or leave it feeling stripped. Was going to try the detergent-free base but I'm so pleased with the success I've had with this one that I feel comfortable enough making repeat purchases! COMMENTS: I was having a problem with my whipped soap scrubs deflating. I added the melt and pour soap to the whipped soap, and my scrubs had a much more luxurious feel. I think my deflating issue has been corrected, and my scrubs are amazing! COMMENTS: This base is really nice to work with. It melts well and it stays clear even when color is added to it (as long as you don't go overboard on the color). It makes a beautiful product. 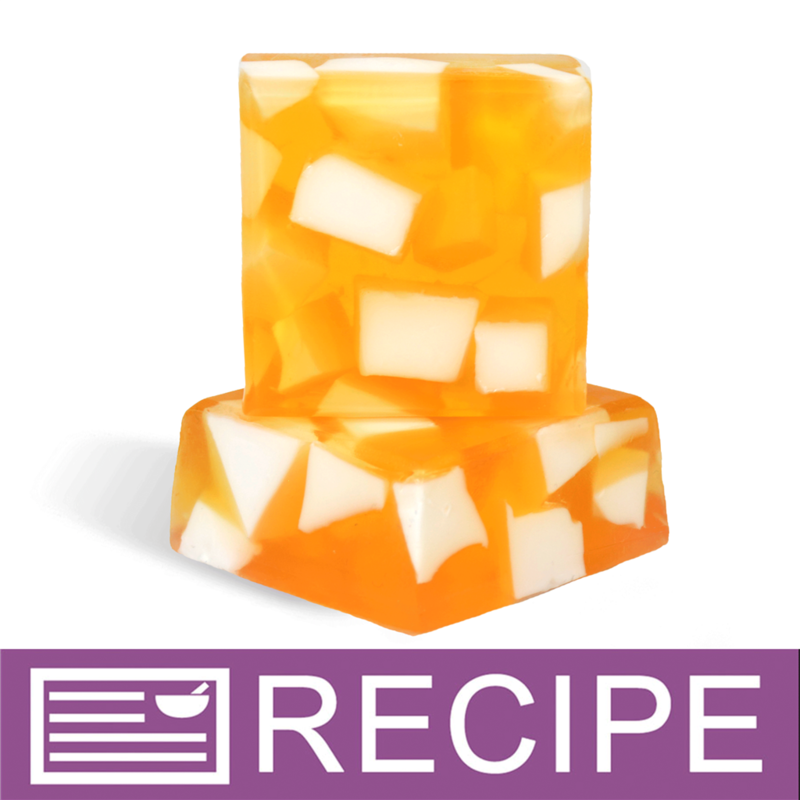 COMMENTS: An excellent quality melt and pour soap base. Love the way it holds color and my skin feels great afterwards. No complaints here! Very satisfied customer! "Best MP on the Market!" 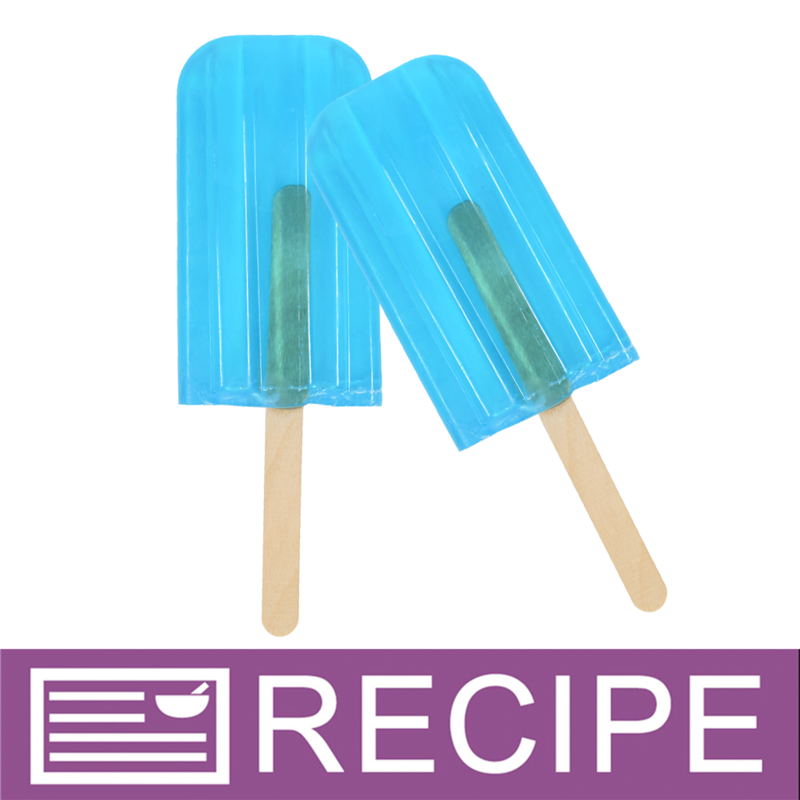 COMMENTS: This is literally the best melt and pour available' it melts quickly and hardly has any air bubbles in it! "Has a nice clarity to it"
COMMENTS: WSP has the best soap bases, and I have tried many! This one works really well and releases from the molds easily. 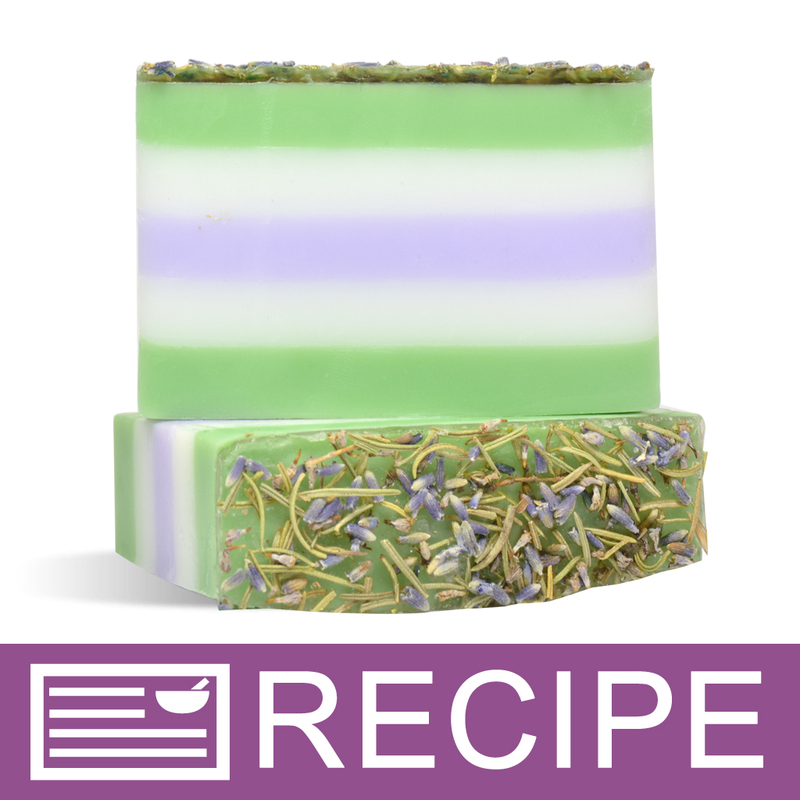 The super clear color of the soap makes it a breeze to make your soaps vivid colors! COMMENTS: Good lather, silky feel.....also love this base for coloring embeds. I have had a blast with this soap and the possibilities are endless. I used WSP micas and the colors always come out bright and true to the color. Holds fragrance exceptionally well. Will definitely reorder. COMMENTS: This is a great price for a starter base. COMMENTS: I’ve been pleased with this product. Not as clear as others I’ve purchased but it’s not bad. COMMENTS: I love how this base leaves no residue on the skin and my customers love it too!!! Great product!! "clear melt and pour soap base"
COMMENTS: This is a clear, transparent soap base that works well with embeds. You are able to clearly see what is inside the soap. I will order this again. COMMENTS: I've used this base a number of times and just love it. Very clear and easy to work with! COMMENTS: I made s9me amazing galaxy soaps for a birthday party. Absolutely love this base! COMMENTS: This is fun to work with! COMMENTS: Used this M&P with Shark embeds for SHARK WEEK soaps! Scented with South Pacific Water FO and aqua blue colorant...came out great. This soap melted as it should, poured great and did the job! COMMENTS: This is a good quality mp soap. I use it for embeds on top of my CP soap. COMMENTS: This was my first time using a melt and pour product. 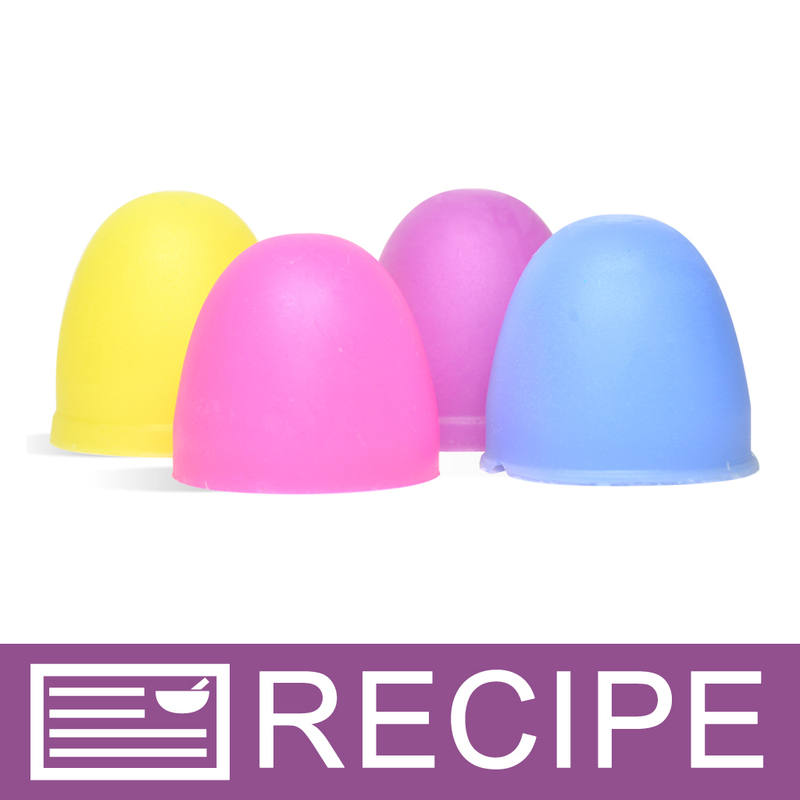 It was a wonderful product, super easy to melt, fragrance and color. I used a WSP mica to color this soap base and it was gorgeous. I live in a dry climate and didn't experience any sweating from this product. Liked it so much I ordered another 4 pounds for a future project. "Fun to work with! " COMMENTS: You can do so many projects with this clear soap. Keep in mind it is not 100% clear, it is a little smokey, but still is "see through." It mixes well with the other bases. COMMENTS: Easy to use, good price. Will buy again. COMMENTS: This base is of a very good quality. It accepts anything, and is the only base I'll use. COMMENTS: I made melt and pour soap for the first time using this base and it was great. My soap turned out really nice and I was so easy to make. "Easy to use love it!" COMMENTS: Love this to add all types of shimmers and colors to. Like the way it leaves skin feeling. So easy to use! Recommend! 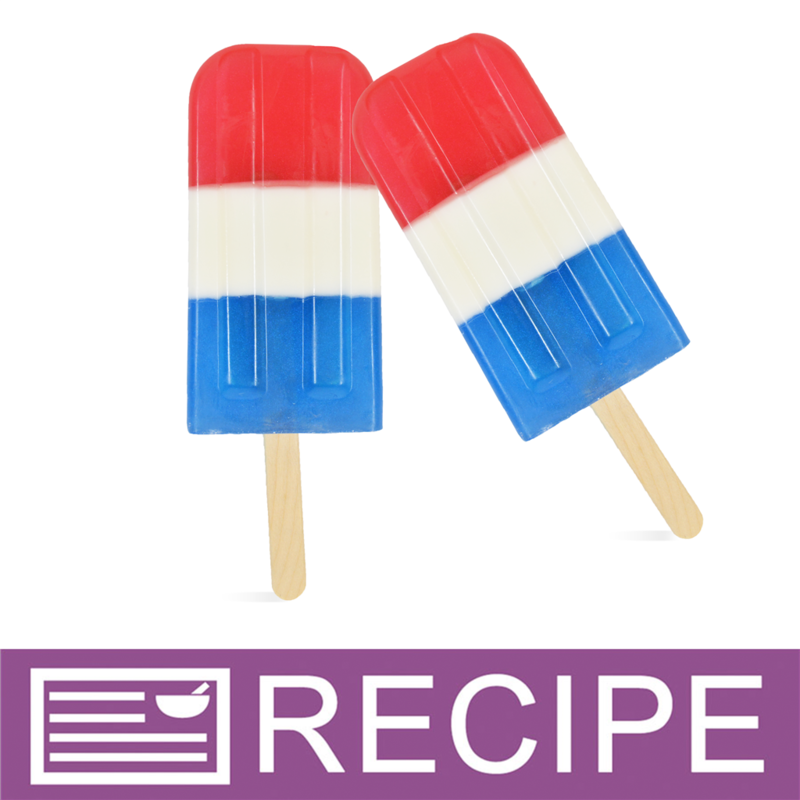 COMMENTS: I used this for toy embed bars and they turned out perfect! The base took color perfectly and the bars have a great larger. I should have ordered more and plan to :). COMMENTS: Easy to work with, lathers well and leaves a squeaky clean feeling. This base did tend to dry my skin after several uses in testing (but I have sensitive skin). It's a good basic base to use with simple embeds where detail doesn't need to be noticed (cubes/shreds). I would use again to make shreds with but not as a spa bar as its far to drying for the skin. COMMENTS: I don't need a super crystal clear base so this base is multipurpose and perfect for my needs. I also blend it with the other bases to make a more translucent bar. Fun! COMMENTS: This is a great sudsy soap for my embeds! COMMENTS: it was crystal clear and held my colors well. "goes great with the fish"
"Basic Clear MP Soap Base - 2 lb Trays"
COMMENTS: The trays come in handy for cutting purpose or when you just need a small amount of base. The quality is always excellent, it holds fragrance well and has an excellent lather. "Very satisfied with this product!" COMMENTS: Works exactly for what I need it for, will buy again. COMMENTS: So easy to use and blends perfectly with fragrance oil and liquid color. I did try powdered color once and found it didn't blend in well. The liquid colors work great an in fact I made a batch of black soap with this clear base as a Halloween product. I was so impressed with how well it held so much color. Definitely a winner. COMMENTS: I purchased this and thought it was good until I purchased the premium clear base and it was better! But this is great for embeds and all MP soaps, it's clear and easy to use. I just prefer the premium so far as I can get less bubbles and they seem to come out clearer. COMMENTS: I love how clear it is and worked well with my design. COMMENTS: I use this for sugar cube scrubs and various other melt and pour projects. WSP has the best quality I've seen yet. And the best price. Plus, I love how the melt and pour base is packaged. So easy to use and reseal for later use. COMMENTS: This one gets nice and hard with my activated charcoal soap. COMMENTS: This is a great melt & pour for adding color. The color is bright & clear. I used red. Will purchase again & again. COMMENTS: Good quality and price. COMMENTS: used this for imbeds to put in cp soap loaves. Perfect! COMMENTS: Easy to add fragrance to. Very simple to use. Good product. COMMENTS: Use this for my first batch of melt and pour and everything went smoothly! COMMENTS: I love to work with this base of M&P. It fits all the crazy ideas of how I want my soap to look. It's a very clear soap and everyone loves how pretty it looks once shaped and moulded. It produces a a fine lather with small bubbles. COMMENTS: I love the MP soap bases they are very easy to work with. This Clear MP is has a very nice finish I used it with the Jolly Rancher to make rectangle soaps for kids. Its amazing. "Easy to use. Client favorite! " COMMENTS: This is a great product and everyone loves it! Very easy to use! COMMENTS: This is my go to base and the scent is very mild, so it handles FOs well, which is a huge improvement over another brand I used before. I love that it has low sweat and the flats of base are so easy to handle. I appreciate the variety of other types of base on WSP, but this is definitely my favorite multitasker. COMMENTS: Easy to use, great value. Easy to cut up to small batches. I use it to make little embeds for my cold precess soap. Love it! Will be back for more. COMMENTS: This clear melt and pour base is perfect for my seasonal projects! COMMENTS: This is a great clear soap. Very pleased with it. Melts well, No smell. COMMENTS: and the price is right!! 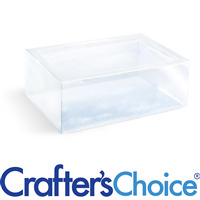 "Crafters Choice™ Basic MP Soap Base - Clear 2 lb T"
COMMENTS: My first purchase of this base, I was using a 5# block I purchased from a craft store, and was very unhappy with it. Other members of a soaping group recommended your bases. I was very pleased to find it didn't sweat nor was it sticky like the craft store brand. 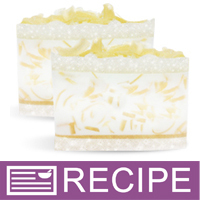 COMMENTS: I love this soap base it is easy to use and it turns out a nice soap every time. So happy I found this product. I won't use anything other than this for my clear soaps. COMMENTS: the price is great and it worked really well will be ordering more! COMMENTS: Nice and easy to use, easy to mix in color! Will order more! COMMENTS: Can't go wrong with a clear soap base. Holds color and scents well! This soap lathers well and doesn't dissolve as quick as some clear soap bases! Will purchase again for my embed projects! COMMENTS: My go to when sampling new scents. COMMENTS: Works great! Makes a nice, hard bar. No offensive scent. I much prefer the 24# in 2# packages. So much easier to handle vs the big block. Saves time! "Basic MP Soap Base - Clear"
COMMENTS: This is great for embeds and is wonderful when trying for vivid soap colors. COMMENTS: This soap is great. I bought a 24 lb pack and it came in the 2 lb packages, so it was really easy to handle. The only downside is that the lids don't stick back onto the container that well. COMMENTS: Super clear, lathers well. Would use again. Might try detergant-free next time. COMMENTS: I use this to have some lower cost options for some clients. I can't really tell that this is not premium! 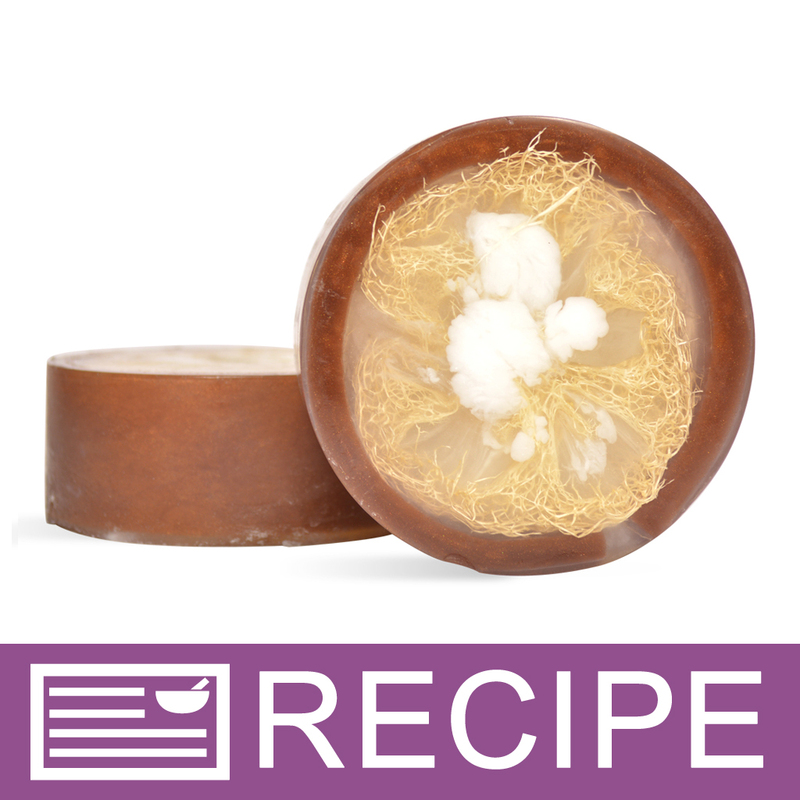 It's very clear, has great lather, cuts easily, and molds well. 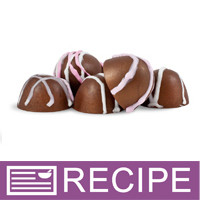 The two pound portions are easy to store and are perfect for making small batches. COMMENTS: Perfect when you need soap in a hurry! I don't like that I can't seem to get the top of the trays to stay on though. COMMENTS: I like the 2 lb size of the soap as it is easy to cut from the block. COMMENTS: These 2 lbs trays of soap are so convenient, I will never go back to the blocks! I no longer have to measure out my soap base, saving a lot of time! COMMENTS: Love this base. It's very clear even being the basic clear. It has great lather and very little odor. Takes color and fragrance wonderfully! 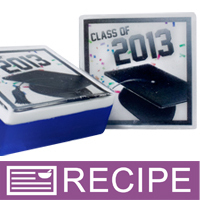 "Basic MP Soap Base Clear 2 lb Tray"
COMMENTS: This product has great suds and takes colors so well. "Easy to Use in M&P"
COMMENTS: This base takes color beautifully and held fragrance perfectly. It is beautiful to combine with 3 butter white base. I made some beautifully colored soap loafs using both products together. It is creamy and lathers well in the shower. Very nice. 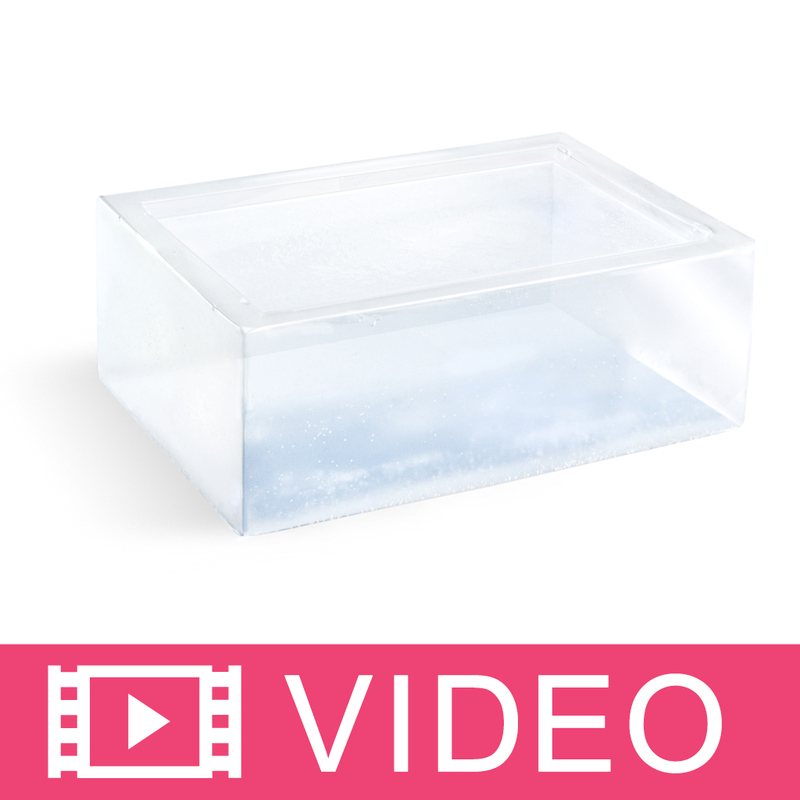 COMMENTS: This is a great base for making embeds for your cold process soap. Very low sweat factor makes it great for people like me who live in Florida. I really battle the glycerin dew but just LOVE embeds, so can't do without melt and pour base. This one is very clear and melts easily. COMMENTS: Easy to use and good price for product. Soap slightly dried skin. "Very clear and nice lather!" COMMENTS: Will definetly buy again.works well with my melt n pour soaps! "Good Price for a good Product!" 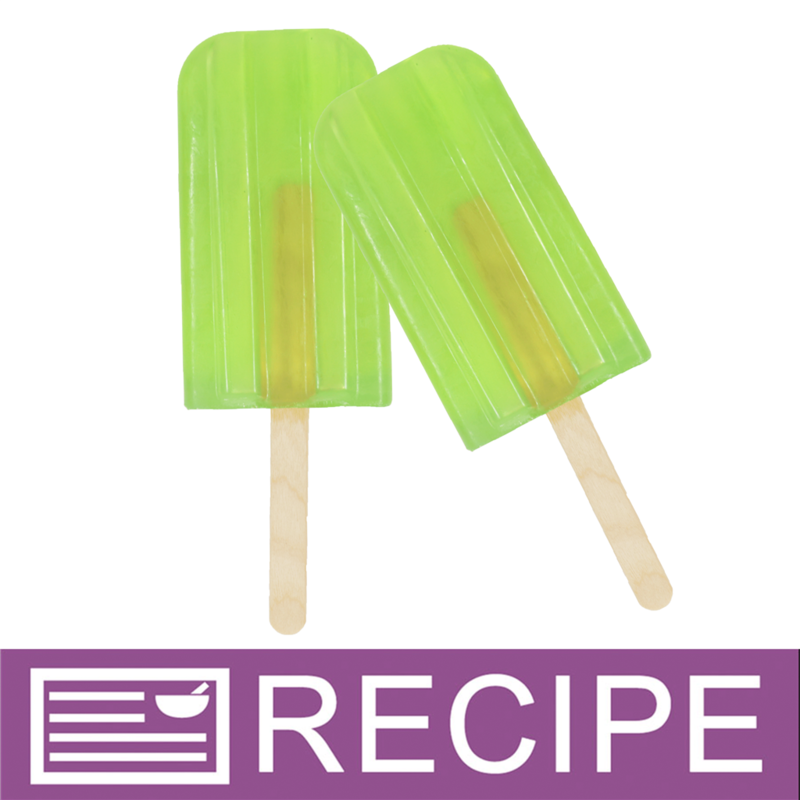 "Perfect for soaps with embeds"
COMMENTS: Used for my soaps with embeds as well as popsicle soaps. Looks great and feels great on skin. Lather was good as well. "crafters choice basic mp clear soap base 2lb tray"
COMMENTS: This was my first time making soap and I love,love,love this base. Nice lather,holds color and scent well. Can't wait to start selling my soaps!!! "Love this Clear Soap Base"
COMMENTS: This is the best melt and pour soap base I've used so far. 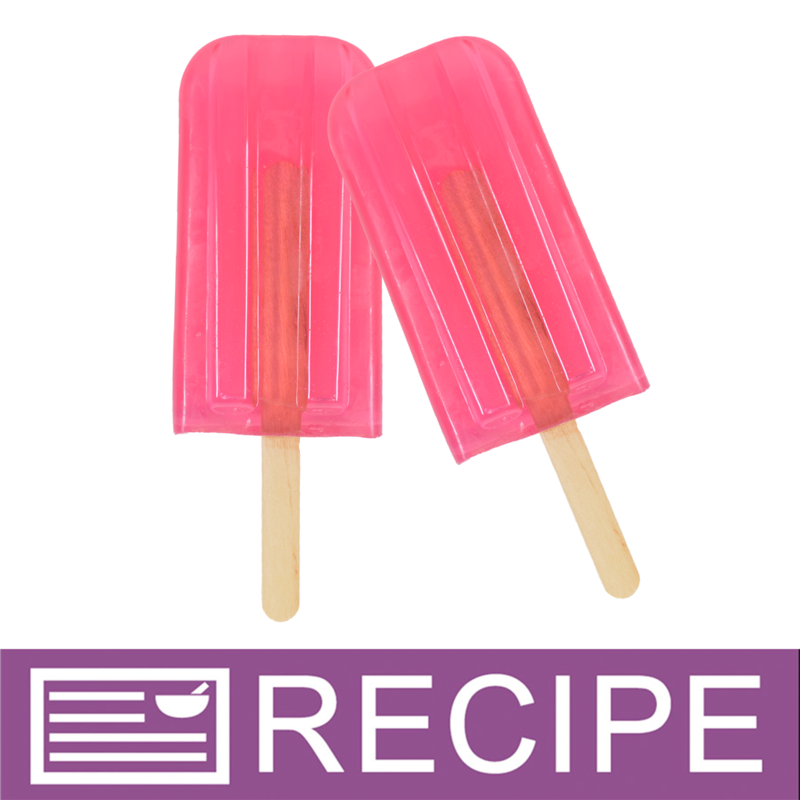 It melts quickly and stays very smooth as it cools so it is great to use for layered projects. It also stays very clear. It also lathers better than any melt and pour I've used. 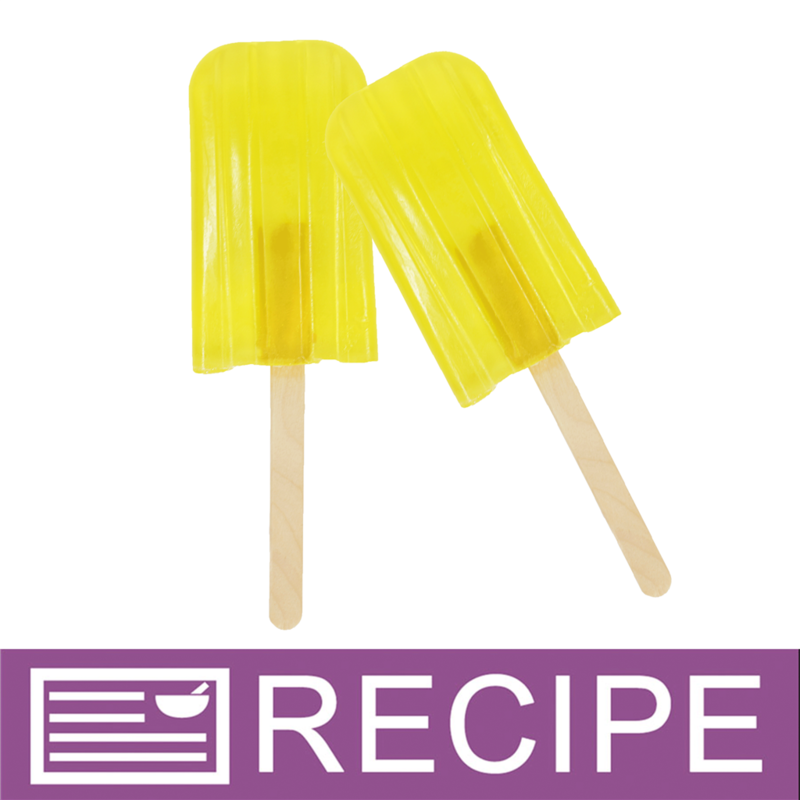 COMMENTS: I love this melt and pour, worked exactly as I thought it would...Great product! COMMENTS: Melts quickly, and colors very well! COMMENTS: Very nice clear base. Holds scent well and colors very well. COMMENTS: It melts great, very clear. Great product, will order more. COMMENTS: This is a must have if you're looking to experiment with essential oils and fragrances. 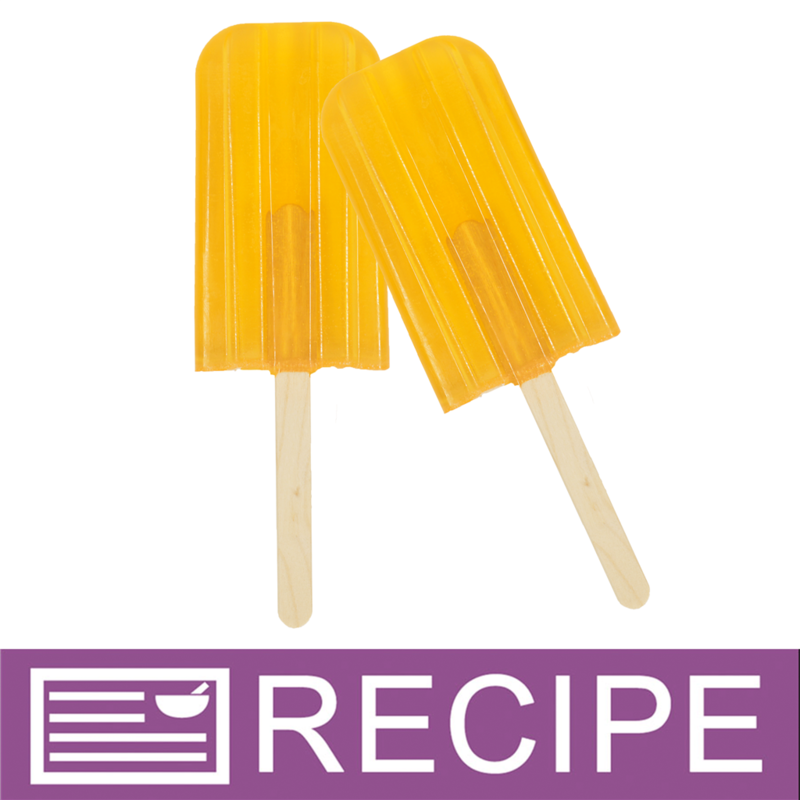 It melts very nicely and once cooled, unmolds perfectly. COMMENTS: I always thought Clear MP base was all the same. I was so wrong! this is exactly what it says... Crystal Clear! COMMENTS: A staple needed for us M and P makers. I like the packaging of the 2 pound loaf as it is easy to cut and easy to store. The soap make a nice lather and accepts fragrance and color very well. COMMENTS: I am not a M and P gal, but I make tiny M and P hearts to attach to my business cards. This stuff is easy to use. I simply hack off a piece, melt in the microwave, and pour into my molds. It takes about 30 minutes from start to finish to create 12 tiny sample hearts. Takes a scent well. COMMENTS: I was very pleased with this product. It was easy to melt and it has great lather I have been using my test soap for two weeks and it has not dried out. I will be repurchasing. I did not experience any sweating when using this soap base. "Love the easy packaging of this product"
COMMENTS: The way this is packaged allows me to easily store and use it. The clarity is awesome! COMMENTS: i loved this so much that i ordered a big block! "I would like to know if the propylene glycol used in soap bases is of vegetable origin. I had a customer ask that question and I didn't have an answer." 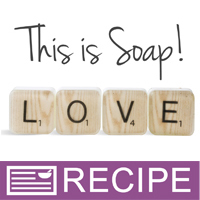 "I am looking into making soap to sell. I have been reading FDA regulations and I’m a little confused. So my question is that if your melt n pours meet the FDA definition of soap then it’s not a cosmetic then it does not need a ingredient label and I’m only asking because there is a grey area when soap has a detergent in the ingredients. So what I would like to know is your melt n pours with detergents considered a soap or cosmetic?" Staff Answer Our regular melt and pour soaps that contain detergents are considered a cosmetic and should have ingredients listed. Our Detergent Free bases can be considered "soap" and do not need ingredient labeling. "Is the basic mp clear soap base after cooled, more clear than the detergent free mp clear soap base?" Staff Answer Hi Heather - Yes, the Basic MP Clear Soap Base has more clarity than the Detergent Free MP Clear Soap Base. 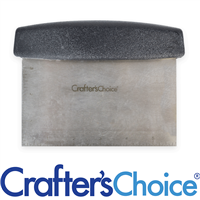 If clarity is important to you, you might prefer Crafter's Choice® Signature Crystal Clear Soap Base, which has the most clarity of all our soap bases. 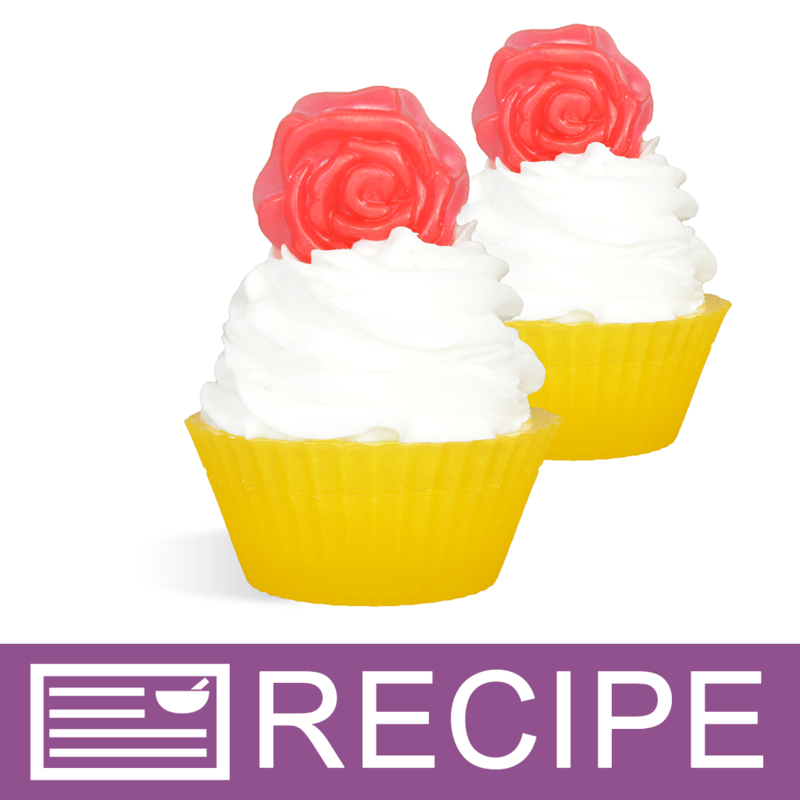 "Can you whip any of your M&P bases into a "frosting" for soap cupcake, and bath bomb cupcakes? " Staff Answer You can whip any of our soap bases however, they will not produce a frosting like texture that will stand alone. You will be able to achieve a frothy texture which can be poured into a mold and layered. You will need to work fast as this method will cause the soap to set up quickly. "Is there a way to whip this to make a soapy scrub?" 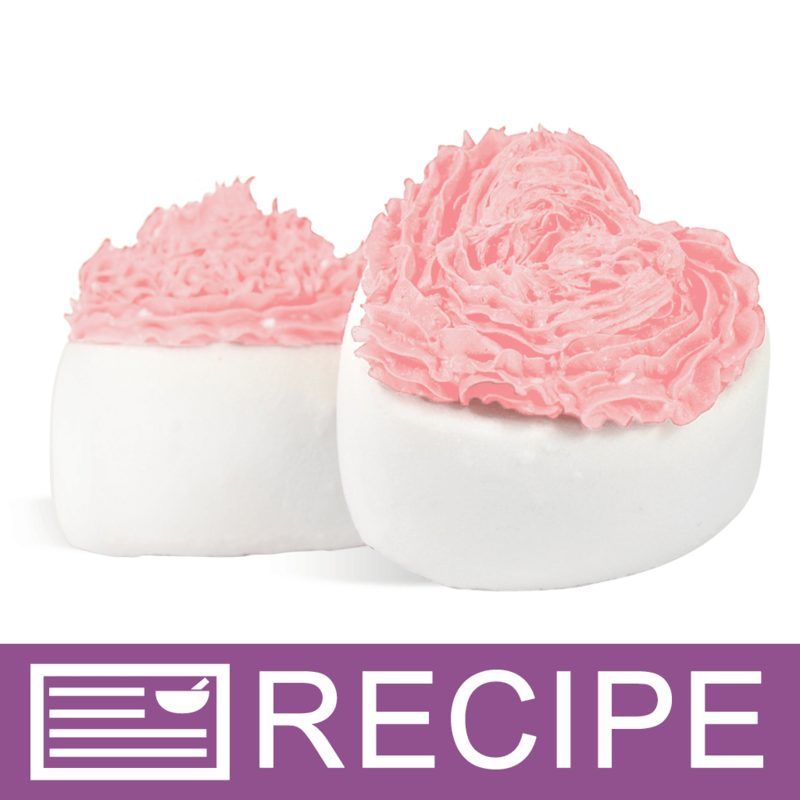 "Can I melt in foam bath whip to this soap to make soap bars? I need more suds." 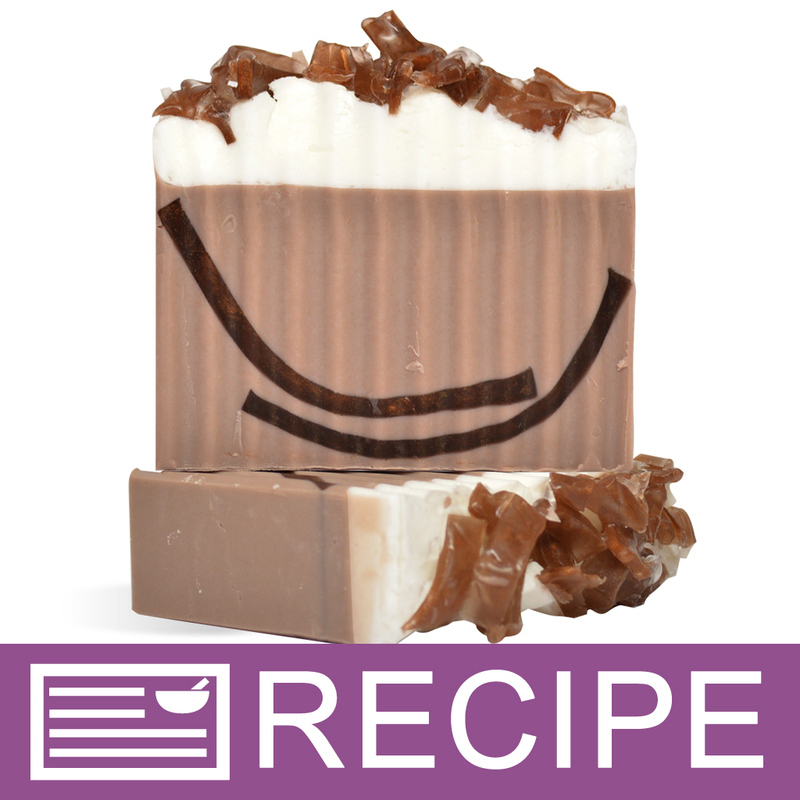 Staff Answer It is possible that adding foaming bath whip to our melt and pour base will help produce a more sudsy bar however, we have not tested this theory. By adding this product you may be changing the quality of the bar and still not achieve the results you are after. We would recommend using Lathonal Powder to increase the lather without compromising the integrity of the soap base. 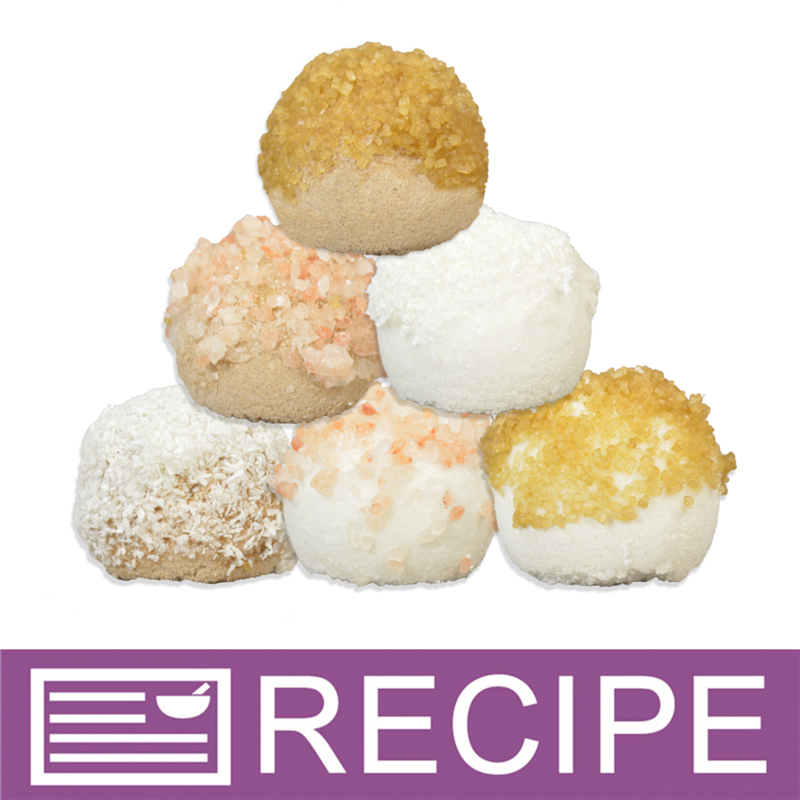 As always, test your recipe in small batches to ensure your desired results. "Can you add pure essential oils to this soap?" "How do you get items to suspend in this base?" Staff Answer For suspending items in soap, we recommend Crafters Choice™ Signature Suspend Clear MP Soap Base. Using the Basic MP Soap Base your items will likely sink to the bottom of the soap and not suspend throughout. I've heard that you can add the item to the regular melted soap and stir for a while until the temperature gets to 115-125 and the item will start to suspend. "Do you have to wrap MP soap in plastic etc., or can boxes be used? I know it will shrink if not in plastic but how much? I am tossing around my packaging options. Thanks for any input on this!" Staff Answer All MP soap needs to be fully wrapped in plastic wrap, shrink wrap or a cello bag. If you do not wrap your soap in an air tight wrap, it will likely develop glycerin dew. Boxes can be used but they should be wrapped in plastic first. I know a lot of people do like the look of the soap in a box. "If I order 24 pounds or more of this, will it come packaged in 2 pound trays, or will it be one large block of soap?" Staff Answer It will come in one large 24lb block of soap. Staff Answer It will come as (12) 2 lb trays. The big blocks of soap are labeled and sold as 24 lb big block. "What will happen if I pour this in my mold at a higher temperature?" Staff Answer Your soap may turn amber and be more likely to form white spots called soap bloom. It could damage both the end result of the soap and the mold. I would not recommend pouring it at higher temps. depending on the mold you use it could melt it. It can damage the chemical make up of the soap and depending on which fragrance you use reduce the quality of the fragrance (check the flash point) I highly reccomend NOT pouring at a higher temp! "Can Basic Clear soap be used instead of suspension soap?" Yes! Last holiday season I used the Basic Clear to suspend both glitter and poppy seeds in my soaping projects. When I need to suspend an additive I add the additive to the melted soap and stir and stir until the soap starts to cool. Stop stirring and look at the soap, if the additive starts to sink then keep stirring and let soap cool a bit more. Stop again and if the additive is hovering then it's time to pour into your mold. "Your overview says the melt point is 122°, yet in the directions it says 'warm base to 140º F or until it becomes liquid' - which is it... 122° or 140°?" Staff Answer The 122º is the melt point and the point at which it begins to melt. It will not completely liquefy at this temperature. It is recommended to heat to 140º F.